AUGUSTA, Maine — Vaccination rates among schoolchildren continued to drop in Maine this school year, when the share of kindergartners receiving one required vaccine dropped for the third straight year, according to data from the Maine Center for Disease Control and Prevention. The U.S. average was 2 percent by that measure last year, when only six states had higher opt-out rates than Maine. It poses risks to “herd immunity,” a high share of vaccinated people making it nearly impossible for diseases to spread. Maine had its first measles case in 20 years in 2017. 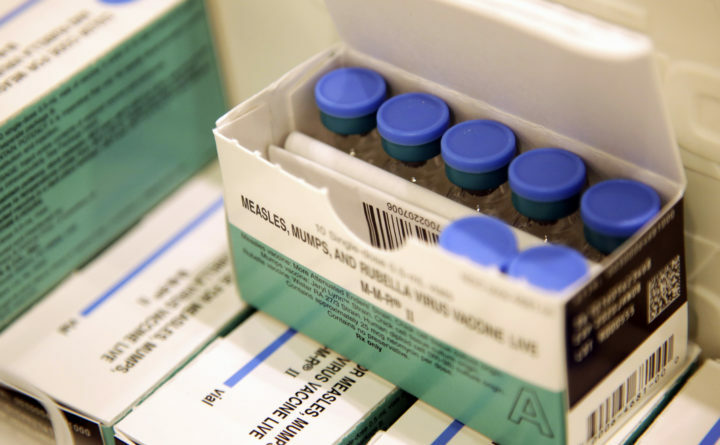 Earlier this week, the Maine CDC warned that people who visited two Portland-area health care facilities could have been exposed to measles after an infected Massachusetts resident visited the clinics. Kindergarteners in five Maine counties — Lincoln, Hancock, Knox, Oxford and Franklin — were below a 95 percent threshold for measles, mumps and rubella. Other vaccine rates have continued to drop among children of that age as well, including those for polio, chicken pox and diphtheria. While these vaccines are required in Maine schools, the state is one of 17 that allows children to opt out of them if their parent or guardian cites a personal exemption. Religious and medical exemptions are also allowed in Maine, and almost all other states allow religious exemptions. Nonmedical exemptions are shaping up to be a key issue of the 2019 legislative session. The Maine CDC backs a bill from Rep. Ryan Tipping, D-Orono, that would roll them back, but an hourslong hearing on that bill last month drew out hundreds of opponents who cited parental rights and pseudoscientific arguments overstating risks of vaccination.